Chipset: Custom - Does not use a traditional Amiga chipset. 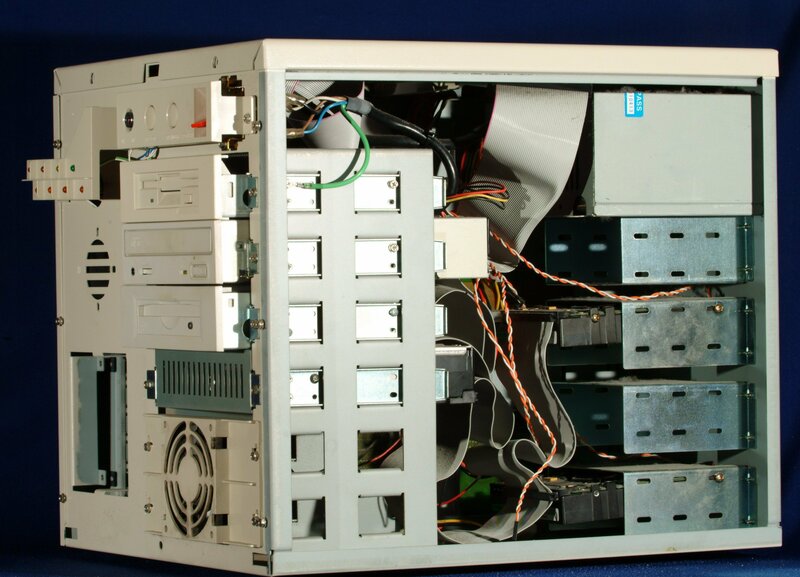 Floppy Drive: High density standart PC floppy drive. Can read Amiga floppies, but cannot write Amiga floppies. It also supports MS-DOS and DraCo specific formats in read & write mode. 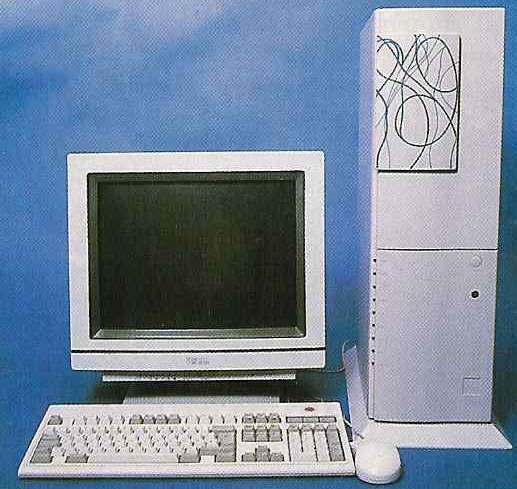 The DraCo was one of the first true Amiga clones to be manufactured. 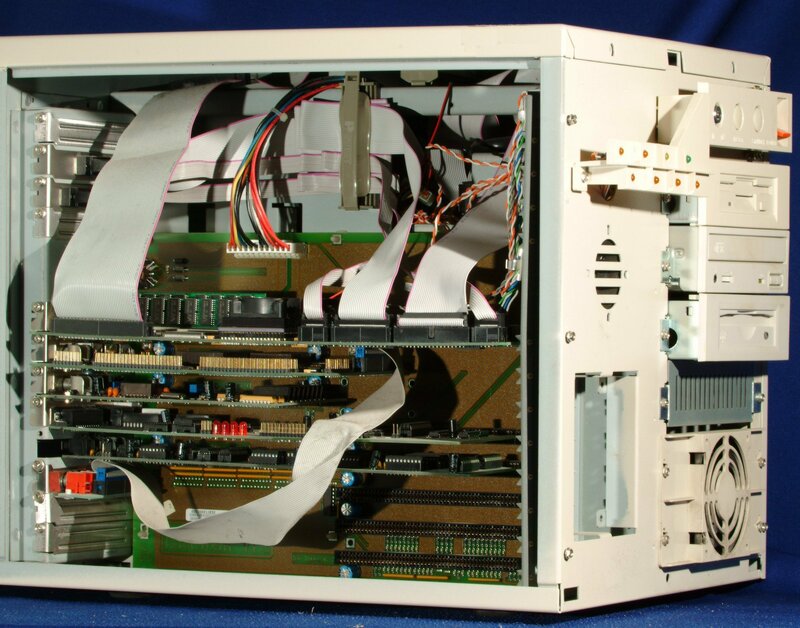 Whilst the machine uses AmigaOS, it does not use a conventional Amiga chipset such as ECS or AGA but exclusively relies on the CybergraphX RTG software (conventional Amigas also use it) which controls the display for the Altais graphics card. The DraCo was not aimed at the home user but at the professional video market, one of the few professional markets where the Amiga made serious inroads. The VLab Motion, another one of MacroSystem's products was in development at the time of Commodore's demise and naturally they were concerned that the availability of Amigas would dry-up. MacroSystem decided to take the technologies that they'd already developed (RTG graphics card, video digitizing and editing hardware) and create a simple motherboard that would be suited to video through-put. The DraCo was designed to be able to accommodate even uncompressed video, an unheard of feat at the time, however that never really saw reality since the Motion JPEG compression that the DraCo utilised was so good. The DraCo was originally designed as a tower unit, however these turned out to be notoriously flimsy as the cases often broke when shipped. The relauch of the DraCo saw the replacement of the tower case with a much neater looking cube, primarily because of the problems with the tower case and also because the American distributor didn't want it to look like a computer, but more like a professional video editing unit as one had to work hard to get computer hardware working correctly. This also saw the DraCo renamed to the DraCo Vision. The DraCo motherboard went through two revisions. The first version which was supplied as the tower form, could not use EDO RAM, however the second version supplied in a cube could, which offered a little extra speed for rendering. The second version could also mix sound in real-time. A DV card was also made for the DraCo which allowed you to control and digitize from a DV deck. The problem was that the card was still converting from the DV format to the DraCo's Motion Jpeg format meaning you lose quality - the very thing that shooting digitally is supposed to avoid! There was also a "machine control" card. This allowed the DraCo to remotely control an external professional video machine. Another card, unfortunately never released was the Component Card, a prototype was developed for the VLab Motion. Professional video decks have separate outputs for red and green and blue video - like so many of today's better DVD players. The Component Card gave the Vlab Motion these separate RGB inputs and outputs, but the card never worked and was very fragile - totally unsuitable for a professional environment. Unfortunately MacroSysten lost interest in this when Casablanca development began in earnest. Interest in the Casablanca really wiped out any hope of continued development on the DraCo. The DraCo never could handle SMPTE Time Code which all professional gear has to be able to do - it's the industry standard language that various pieces of gear uses to communicate. There were many other problems that were never squashed, for example the awkward "integration" of the titling program Monument Designer. Not only did MD have some significant bugs, but it's timeline worked in PAL while the rest of the system worked in NTSC. Audio was always a problem and the workarounds were elaborate and unwieldy to the extreme. Half-hearted upgrades came out from MacroSystem Germany, but the Casablanca was where their interest lay. 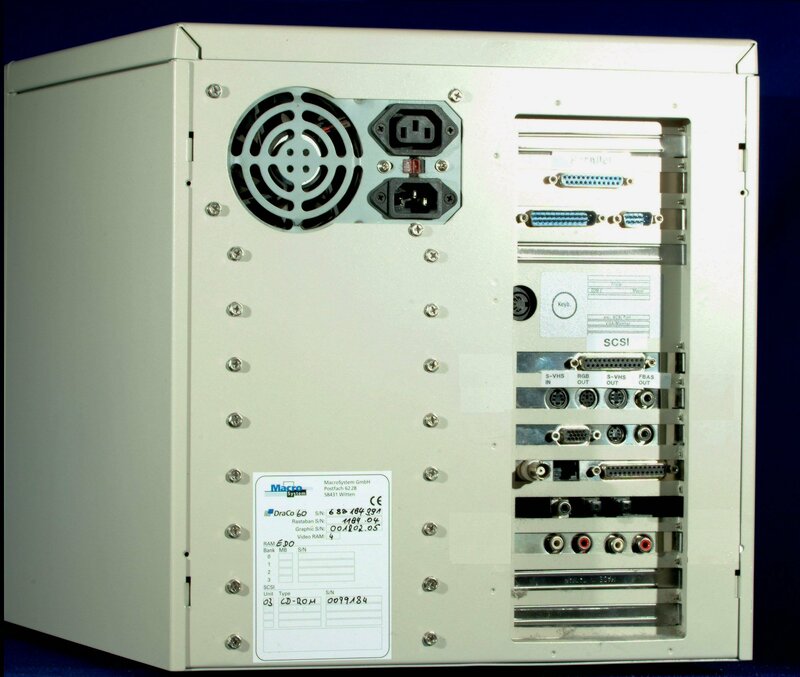 An optional 233Mhz DEC Alpha co-processor was certainly planned for the Draco and was being developed by a guy who worked at DEC in his spare time, unfortunately nothing was ever released to the public. Another piece of vapourware was the Paladin card. 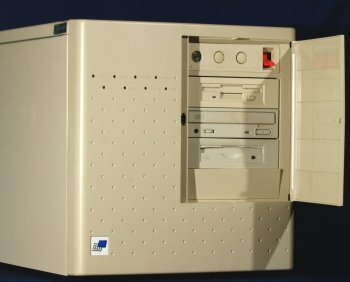 Since the DraCo was terribly expensive in the US, around $15,000 (although in Europe it was priced around the same an a nicely equipped A4000) MacroSystem had an idea for a cheap Amiga 030 accelerator and HD controller that would contain DraCo slots. 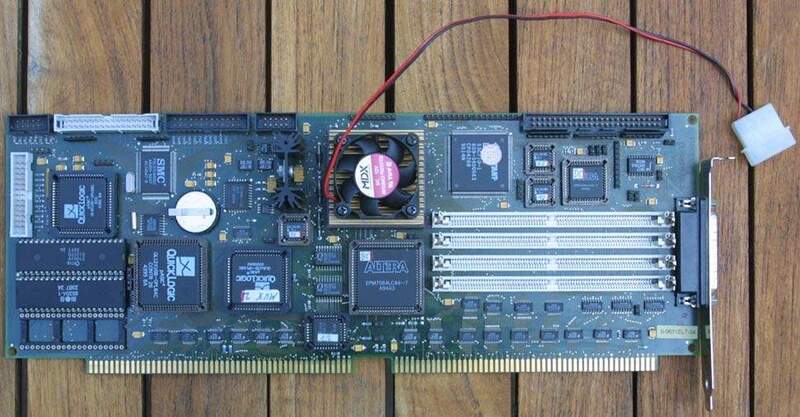 The idea was that a conventional Amiga would be able to use the high quality DraCo Motion video card and the Altais graphics card without the expense of the DraCo. This never even made it to the prototype stage. The DraCo itself consists of several cards which all plug into the busboard called the Rastaban. The Rastaban contains traditional Amiga Zorro II expansion slots but also contains the DraCo's own expansion bus simply called Dracobus. 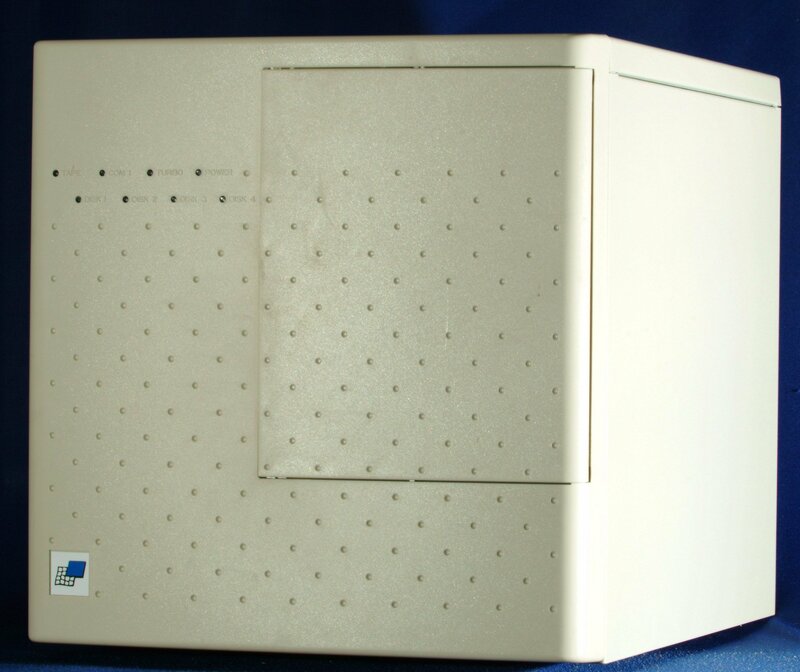 The Dracobus was significantly faster than Zorro II and was capable of 30MB/sec transfer rates, compared to Zorro II which only achieves a theoretical max of about 8MB/sec. Even Zorro III is maxed out at about 25MB/sec. 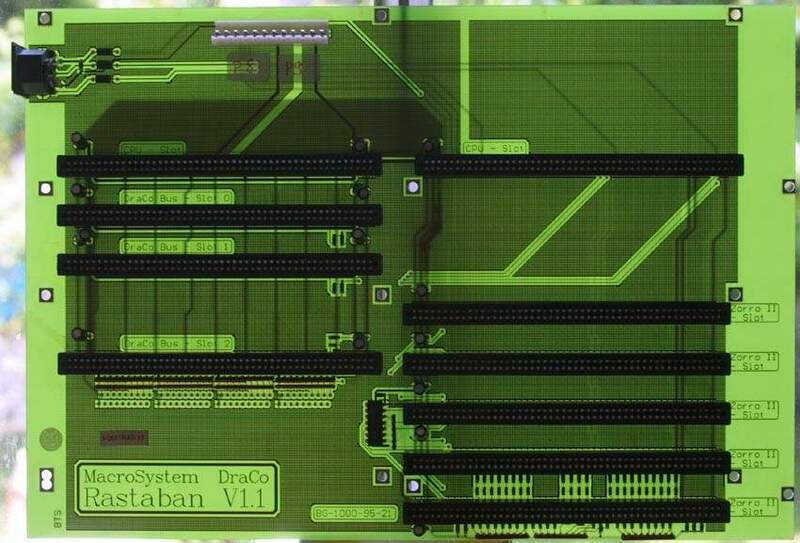 The motherboard which is called the Eltanin is actually a form of card which plugs simultaneously into the top Zorro II slot and top DracoBus slot. As well as being able to use Zorro II cards, the Draco also utilised the handful of DracoBus cards such as the DracoMotion. 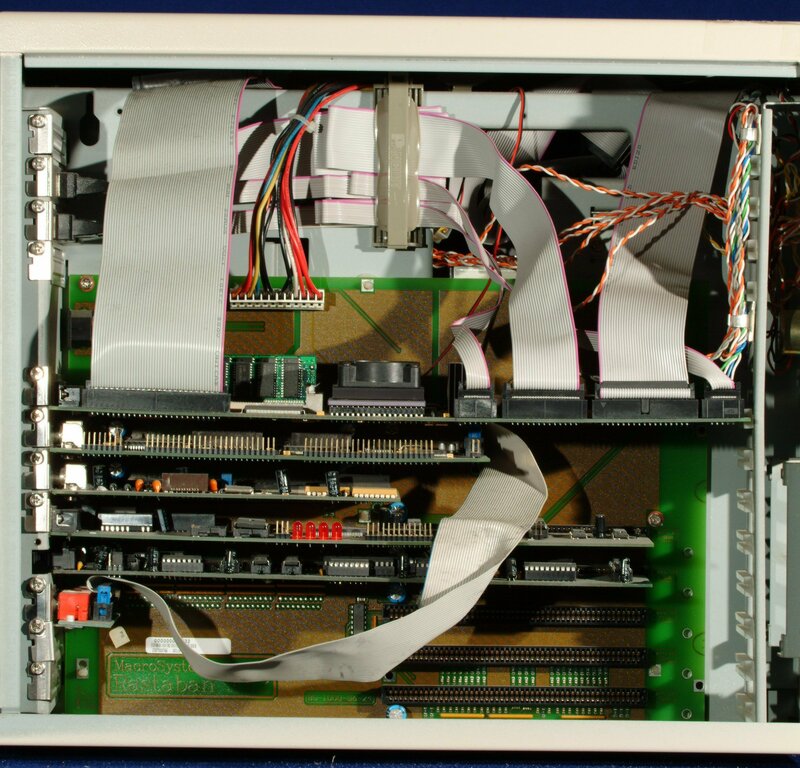 The Draco has 4 x 72pin SIMM slots for up to an additional 128MB of RAM, as well as two CIA's, a Draco ROM, SCSI-II controller and ROM sockets for plugging in the Amiga Kickstart ROMs. The CIA's were only really used for controlling the parallel port and this was primarily just for the dongle which came with lightwave. It wasn't too compatible with many parallel devices. The Zorro II slots are problematic too, if you want to use them for say an Ethernet card, you have to put it in the slot second from the bottom. You have to install another card (didn't matter what kind) in the bottom-most slot to act like a terminator. The Zorro II slots aren't terribly compatible with a lot of cards, in particular Zorro II cards by Commodore seem problematic. In addition to the standard Amiga Early Startup screen, which is accessed by holding down a single mouse button at reset time, the DraCo also has it's own Early Startup screen accessed by holding down both mouse buttons at reset time. This allows you adjust various settings for the SCSI controller and hard drives. The DraCo requires two special partions on the hard disk dedicated for use with the video and audio that the DraCo recorded and played back. Conventional Amiga software could not see these partitions so if you wanted to export video for use with say ImageFX then you had to export the video frame by frame with MovieShop to a native Amiga partition before importing into ImageFX. Page contributors: Bohus Blahut, Ignacio F Gully, NicDouille, Pascal Sallan, RiWa & Friends, Sebastian (Exin).